More than 200 oil workers have voted for industrial action in a row over changes to rota patterns. Unite said its members on the Elgin-Franklin, North Alwyn and Dunbar platforms, as well as the Shetland gas plant, were reacting to plans to put workers on shift for three weeks continuously before having time off. Unite said it had been a "resounding" vote for action. 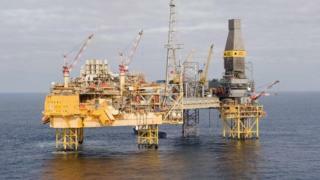 The platforms are operated by Aker and Petrofac on behalf of Total.